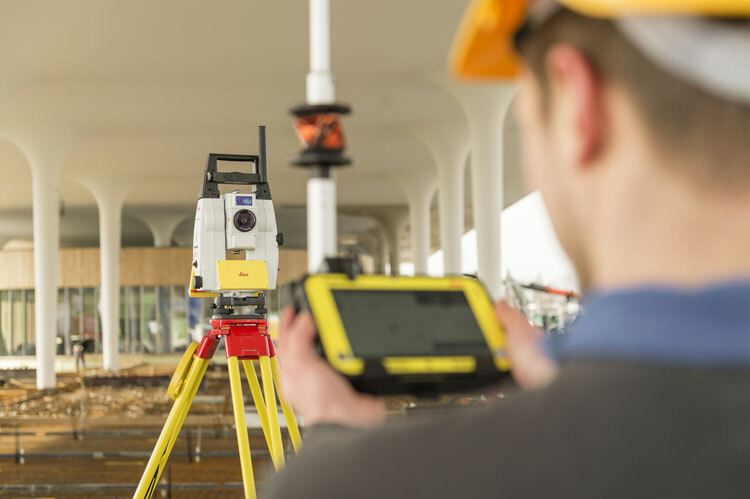 Heerbrugg, Switzerland — Leica Geosystems, part of Hexagon, announced further cooperation with Autodesk to connect the latest robotic total stations for construction, the Leica iCON iCR70 and iCR80, with Autodesk BIM 360 layout mobile app, an industry construction management platform. The continued collaboration between the two organizations centers around the expanding role of Building Information Modelling (BIM) in construction. This latest effort creates a seamless workflow sending positions from the robotic total stations to the mobile app to compare design data, increasing efficiency and productivity from field to office. With the integration to the iCR70 and iCR80 robotic total stations, BIM 360 Layout for iOS customers will be able to accomplish important layout and quality assurance and quality control (QA/QC) tasks by using models stored and coordinated in BIM 360 directly within the BIM 360 environment. Leica Geosystems and Autodesk have together delivered added value to Architecture, Engineering and Construction (AEC) customers through multiple collaborations, including the introduction of the Leica BLK360 imaging laser scanner along with Autodesk ReCap Pro for Mobile. Both organizations continue to look for collaboration opportunities.